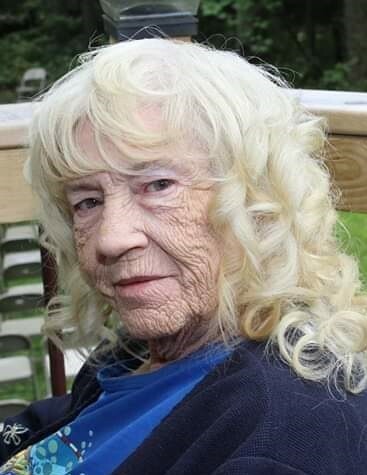 Marion M. Westlund, age 73, formerly of Clinton, MN, passed away January 20, 2019, at Fairway View Neighborhoods in Ortonville, MN. Funeral services will be held on Friday, January 25, 2019, at 11:00 a.m. at Abiding Faith Free Lutheran Church in Ortonville, MN. Visitation will be held one hour prior to services. Pastor Richard Larson will officiate, and interment will take place at Trinity Lutheran Cemetery in Odessa, MN. Marion Marie (Baker) Westlund was born on June 26, 1945, in Duluth, MN, to Melvin and Irene (Paulson) Baker. She grew up in Duluth and St. Paul. She then moved to Ortonville, and later to Clinton. Marion graduated from Mechanic Arts High School. She married Raymond Edward Westlund on June 29, 1963, and they were blessed with four children. Marion worked as a laborer at Goodwill, Zubaz Clothing Company, and EMC. Marion loved fishing, camping, playing bingo, playing cards (especially SkipBo), playing Yahtzee, going to the casino, dancing, people watching, eating at buffets, spending time with her family, and spoiling her grandchildren. Marion is survived by her children: Ray Westlund of Clinton, MN; Dawn Derry of Clinton, MN; Kurt (Sandie) Westlund of Big Stone City, SD; and Brandy (Jason) Asher of Stacy, MN; grandchildren: Carl (Jamie), Ashley (Tysen), Jenna (Dillon), Travis (Camille), Kurtie, Dylan, Skye (Andy), and Haley; great-grandchildren: Taylor, Tiffany, Tori, and Carl “CJ”; sister, Betty Lobbins of Ortonville, MN; brothers: Lloyd (Carol) Baker and Melvin Baker both of Ortonville, MN; numerous nieces and nephews; and other relatives and friends. Preceding her in death are her parents: Melvin and Irene Baker; husband, Ray Westlund; son-in-law, Paul Derry; brother, Donald (Marcella) Baker; sisters: Roseanne Baker and Lucille (Junior) Townsend; and brother-in-law, Elloid Lobbins.